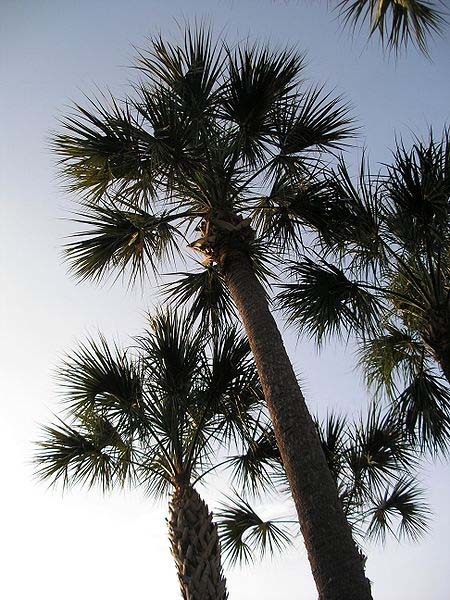 The Palmetto Tree is the state tree of South Carolina. It is found on the state flag and all official state seals and insignia. The South Carolina state flag design goes back to 1765 when three white crescents were used on a blue flag by protesters against the Stamp Act. In the fall of 1775, Col. William Moultrie was asked by the Revolutionary Council of Safety to design a flag for the use of South Carolina troops. He chose Indigo Blue (indigo was a major cash export of colonial South Carolina) which matched the color of their uniforms and a crescent which reproduced the silver emblem worn on the front of their caps. Not long after that, the people of Charleston heard that the British planned to capture Sullivan's Island, a large island commanding the entrance to Charleston harbor. Colonel Moultrie and others, built a fort of Palmetto logs on the island. Their defense was successful, in part due to the Palmetto trees. The relatively soft, but tough, Palmetto trees swallowed the British cannon balls without complaint, protecting those within the fort. 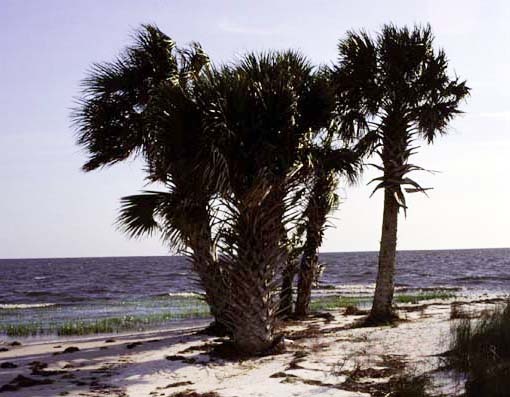 The palmetto tree was later added to the state flag to commemorate Fort Moultrie and the Battle of Sullivans Island --- Moultrie's heroic and successful defense of the palmetto-log fort against the attack of the British fleet on June 28, 1776 (just a few days before the signing of the Declaration of Independence).